I’m back after a brief festive break, full up on mince pies, turkey and plenty of red wine. However, after two days away, I am more than ready to return to my Album of The Year 2013 countdown. I’m amazed at the response I keep getting to this series, so I can’t wait to bring you my choice for Number 12. Somewhat ironically, the last present that I opened for Christmas earlier today was the limited edition version of this very album. It immediately went into the car where I plan to play it very often and very loud. Up until now, I had had to make do with a promo copy (for review in Powerplay Magazine) and the standard edition, as my local record shop was useless. But such is the quality of this album, I needed to have a more special copy to enjoy. 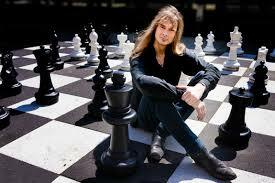 I have been a long time admirer of the work of Arjen Anthony Lucassen. In whatever guise he has recorded, be it Ayreon, Star One, Guilt Machine or under his own moniker, I have enjoyed the results. 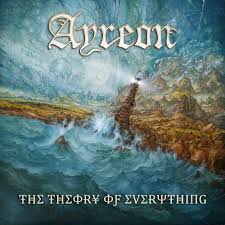 I have to admit that Ayreon is my favourite and so, when news filtered through regarding a brand new album with a brand new concept story, I was very interested to say the least. Ayreon albums have always been very lavish affairs, with long lists of guest singers acting out parts in the concept story. ‘The Theory Of Everything’ is certainly lavish but this time, the list of guest vocalists has been trimmed to a select handful. Most notable of these are Lacuna Coil’s Cristina Scabbia, Tommy Karevik of Seventh Wonder/Kamelot and Grand Magus’ JB. And, whilst the concept is naturally far-fetched in places, it contains a more human and gritty core. For my tastes, this is very good news indeed. Speaking of good news, the music itself is out of the very top drawer as well, with the reclusive Dutch genius truly outdoing himself on this release. Well over 80 minutes of belting progressive rock is split into four epic movements, each of which is then further subdivided, creating a total of 42 distinct tracks in playful homage to ‘the meaning of life’ from a well-known sci-fi novel, ‘The Hitchhikers Guide To The Galaxy’. What’s so daring about this record is the fact that there are no conventional verses or choruses and very few recurring motifs. And yet, somehow, the music is accessible, memorable and extremely enjoyable. Oh yes, and to round things out even more impressively there are guest contributions from the likes of Rick Wakeman (Yes), Steve Hackett and Keith Emerson. Fans of Arjen Anthony Lucassen’s work will instantly recognise his unmistakable style on this record, for he is very much his own man with a unique sound all of his own. For everyone else who is less familiar, prepare to be impressed. Prepare to be very impressed. Remember, if you missed it first time around, my Top 20 of 2012 countdown can be read here.